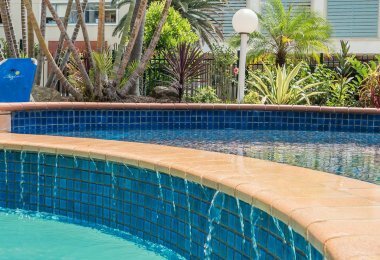 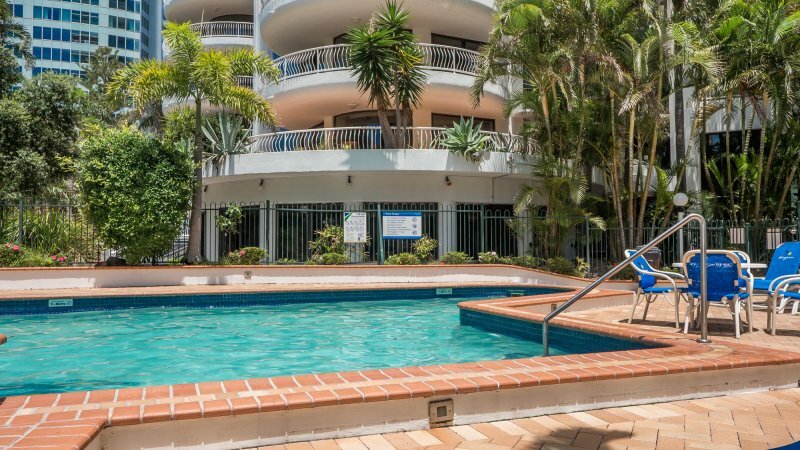 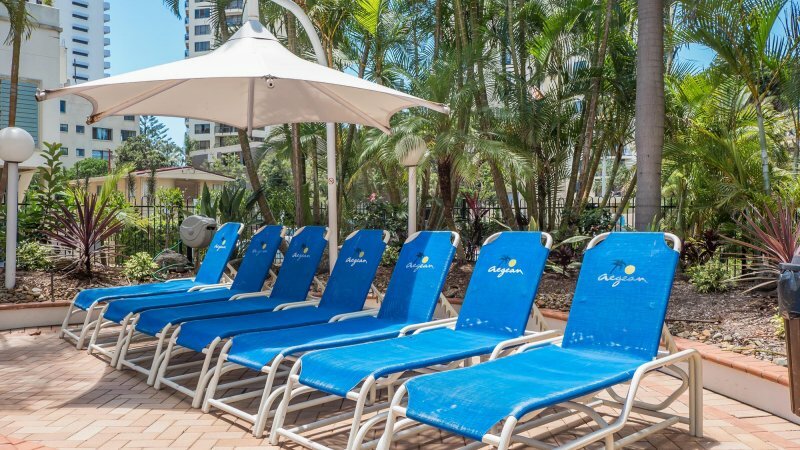 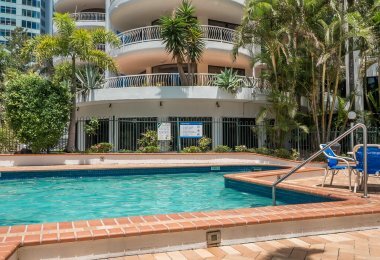 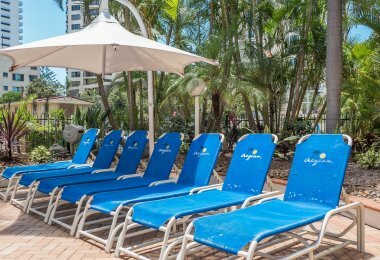 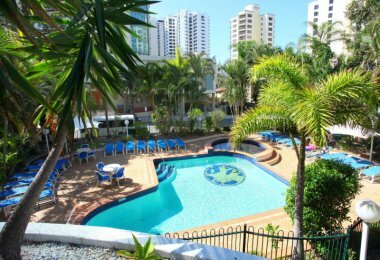 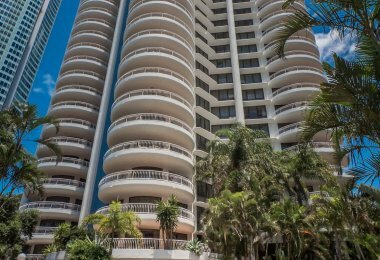 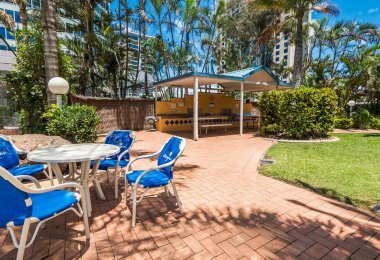 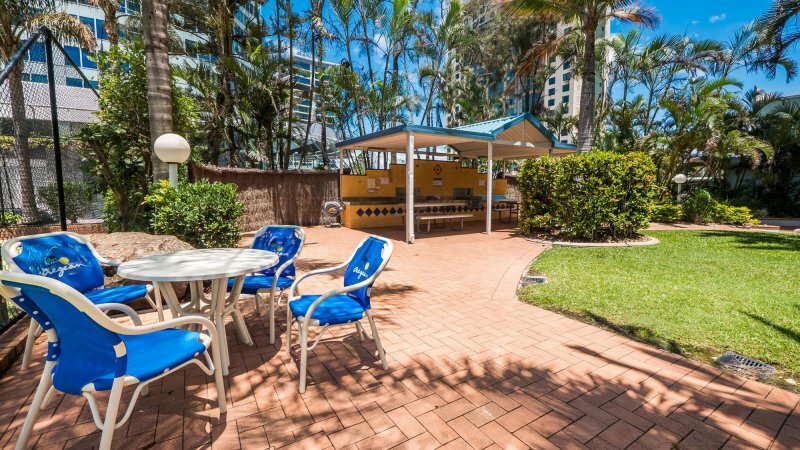 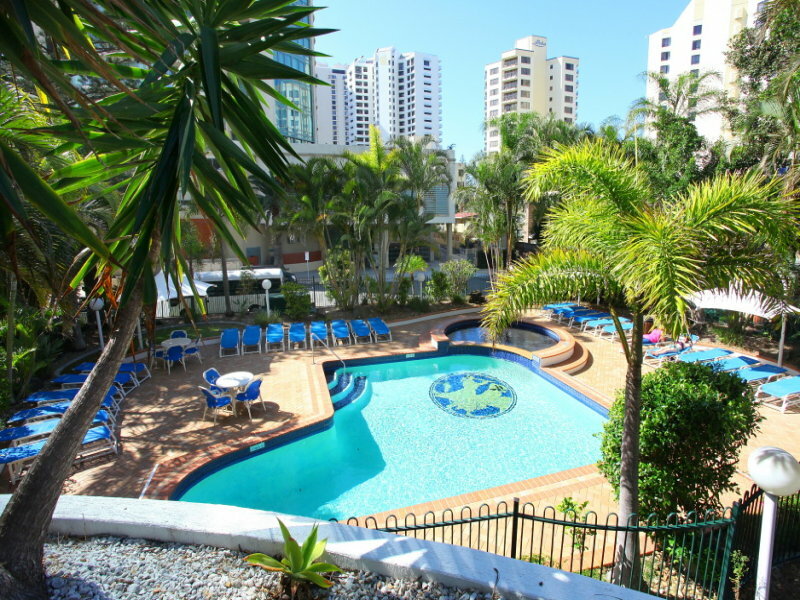 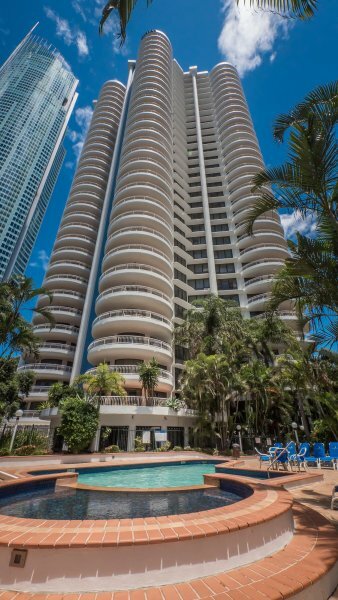 Situated in the heart of Surfers Paradise, Aegean Apartments is the perfect base for a fun and relaxing Gold Coast break. 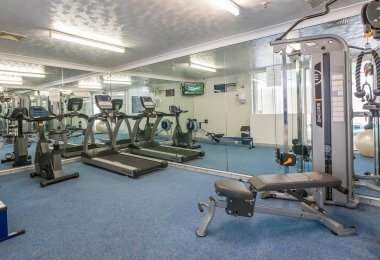 With a gym, tennis court, sauna and two inviting pools, our comfortable self contained apartments have been designed with the perfect break in mind. 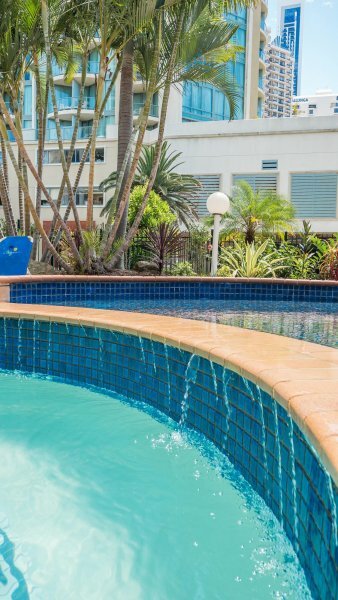 Take your pick from our inviting outdoor pool or our heated indoor pool for your morning dip. 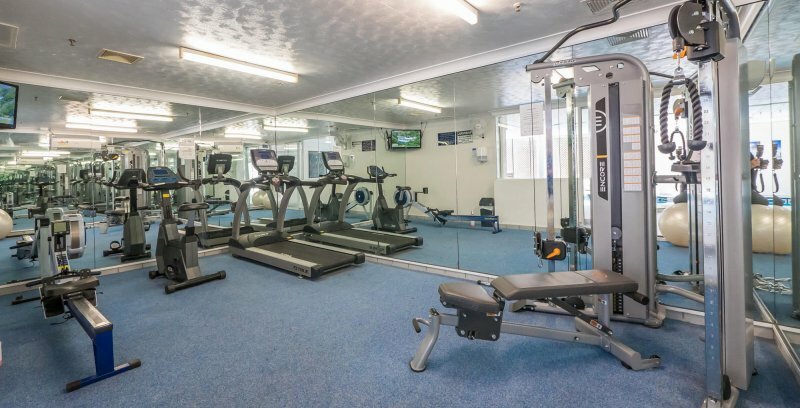 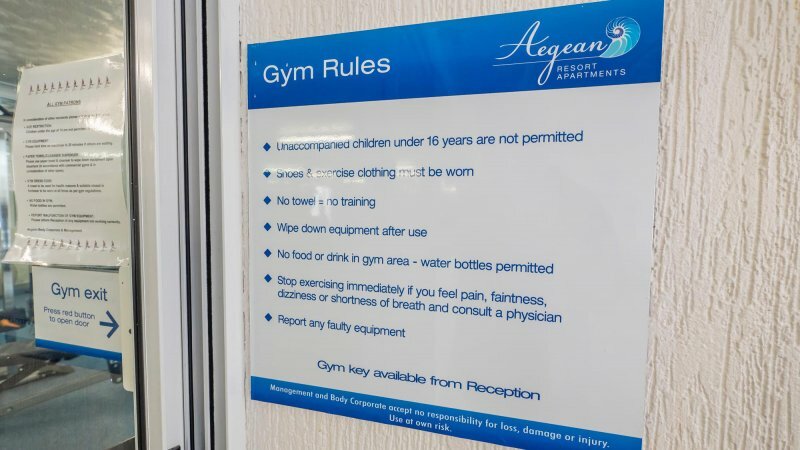 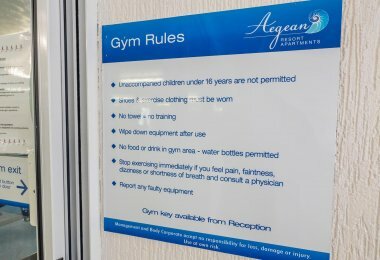 Our air conditioned gym has everything you need to stay fit and healthy on holiday. 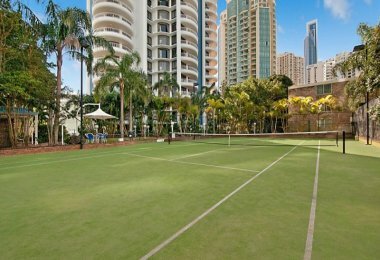 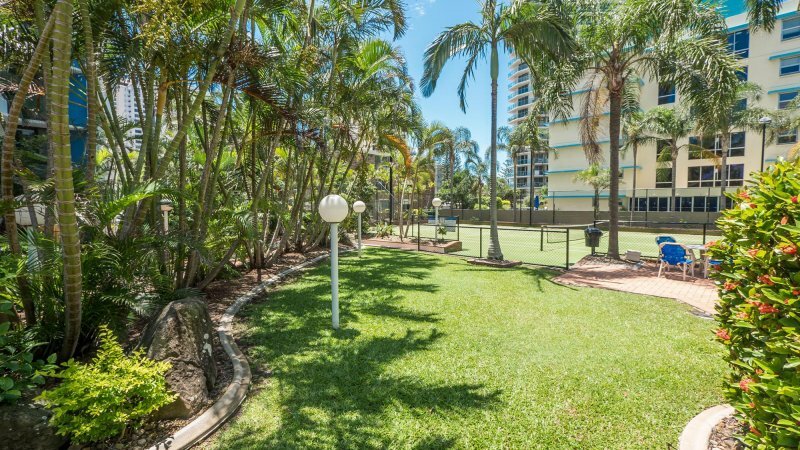 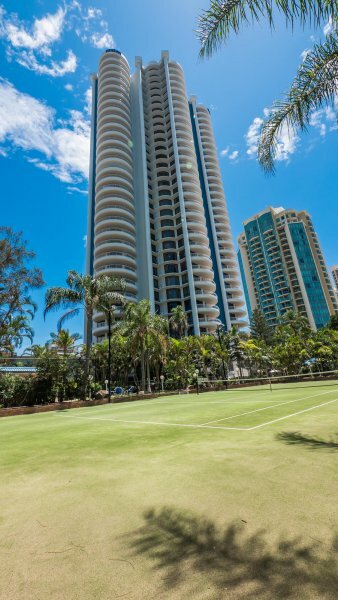 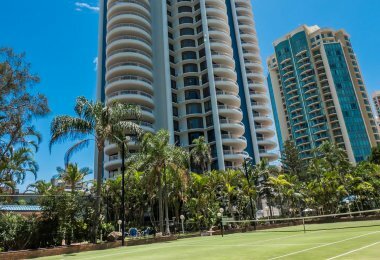 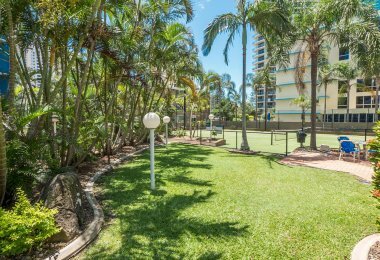 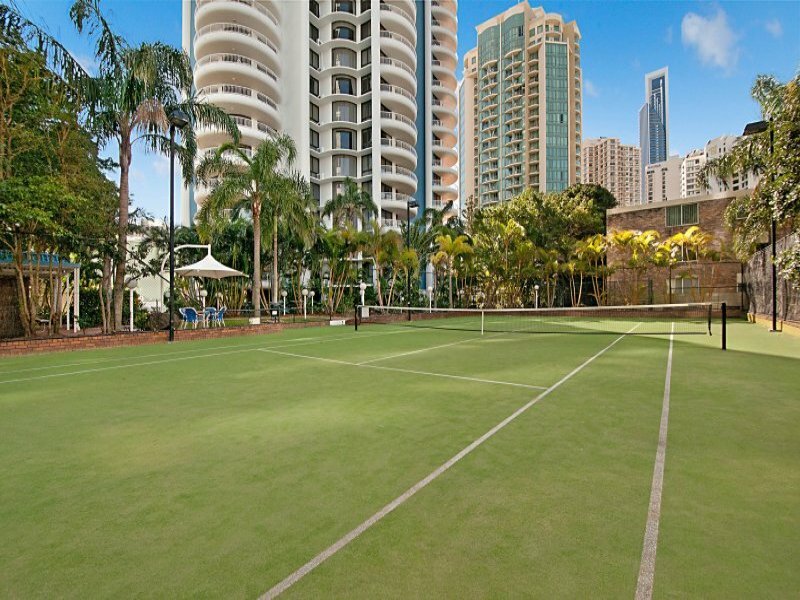 On a balmy Gold Coast evening, enjoy a game or two on our full sized tennis court. 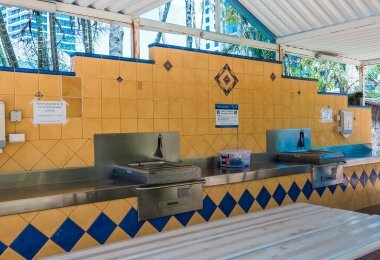 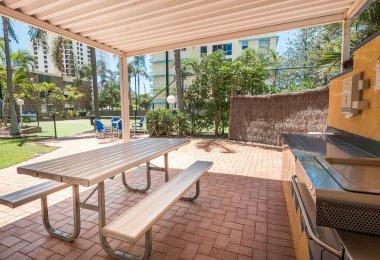 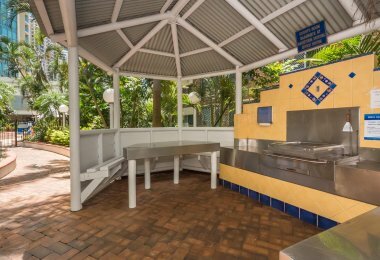 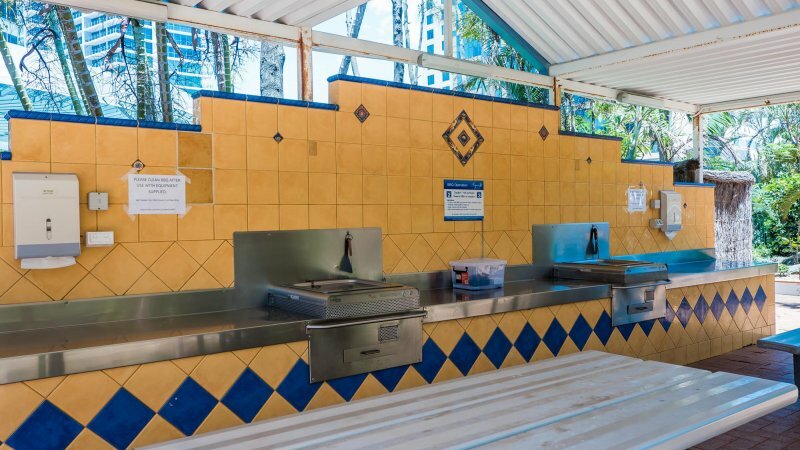 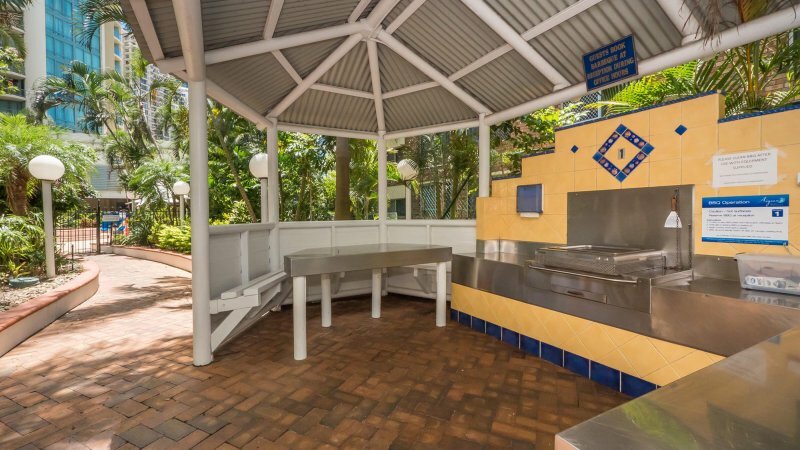 Relax and unwind in our well appointed BBQ area. 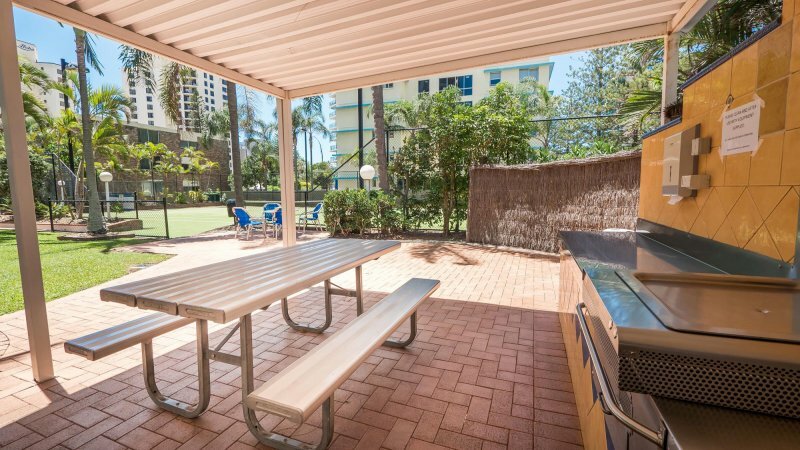 Enjoy a cold beverage or two under the pergola while the kids play.